Nail summer’s big ruffle trend like Caroline Flack with our pink ruffle dress, £59. Decorating everything from dresses to tops, there’s something about a flouncy ruffle that makes us feel like a walking, talking flamenco dancer emoji. Which, as Caroline Flack proves, is no bad thing. Make like Olivia Palermo in a chic Bardot neckline. 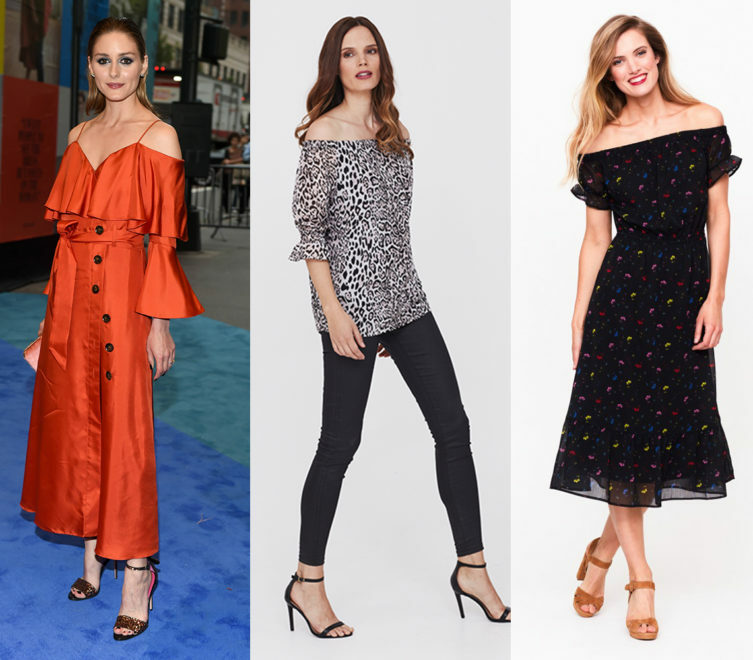 Go Bardot or go home may as well be this summer’s style motto, and style maven Olivia Palermo is a major fan. Whether you opt for a dress or top, what could be better for showing off those golden shoulders? Leopard Print Bardot Top, £49. Max Mara’s tropical SS17 collection. Try the trend with our trousers, £45 and skirt, £59. 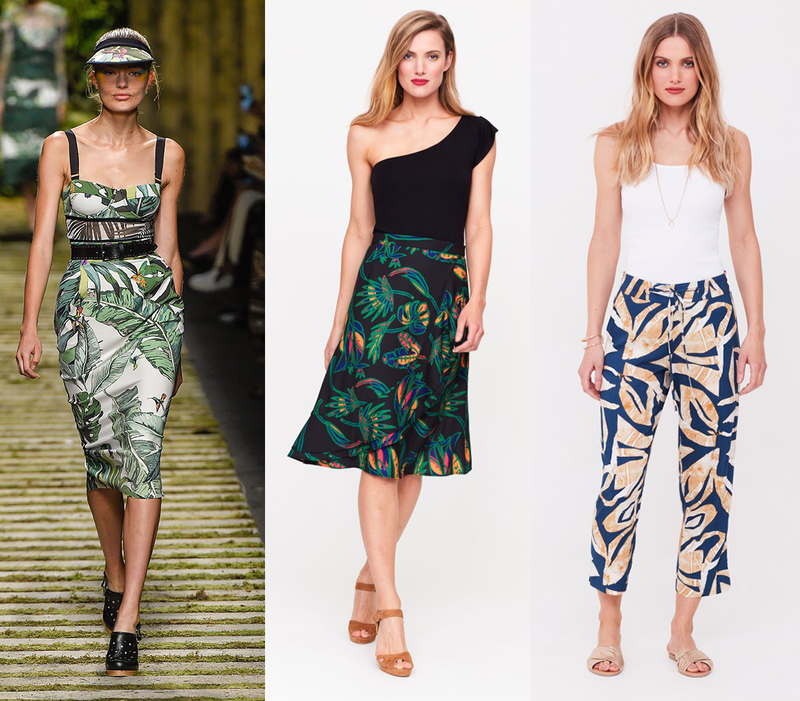 Tropical prints are to summer wardrobes what BBQ’s and chilled rose are to sunny days – integral. Championed on the Max Mara catwalk – among others – work it with exotic florals or bold palms. Fluted Sleeve Shift Dress, £59. From Barbie to pastel to blush – whatever your pink predilection, you’re in luck this summer. The catwalks were awash with this feminine hue, and we’ve used it to give the staple shift dress an on-trend refresh. Nicky Hilton takes the embroidery trend into evening. Kimonos, both £49. A tried-and-tested summer style formula, indulge your inner bohemian like Nicky Hilton with beautiful embroidery on beach kaftans, kimono’s and Bardot tops alike. Channel the Alberta Ferretti catwalk with our leather-look obi belt dress. As seen on the Alberta Ferretti catwalk, belts are the accessory of the moment, and it’s all about wide styles that work wonders at whittling your waist. Our zip front dress was made for your summer work wardrobe.